Governor Andrew M. Cuomo today announced a new electric vehicle campaign that includes the installation of charging stations, incentives for employers to encourage employees to drive electric vehicles and extensive public education and outreach. The increased use of electric vehicles will help the state in achieving its goal of reducing greenhouse gas emissions 40 percent by 2030. The campaign, which supports the Governor’s Charge NY initiative, will be overseen by the New York State Energy Research and Development Authority. "This multi-pronged campaign will help in this administration’s efforts to fight climate change, strengthen infrastructure to support the use of electric cars, and help reduce New York’s carbon footprint on our roadways, " Governor Cuomo said. "With these actions, we are taking another step toward a cleaner, greener and more sustainable New York for all." Work on the projects will start immediately and will include the installation of 450 charging stations across the state. Of these, approximately 150 will be located at workplaces throughout New York, supporting Governor Cuomo’s State of the State proposal for the construction of 500 new workplace charging stations. The units will be installed in Rochester, Syracuse, Buffalo, Utica, Albany, the Hudson Valley, Westchester County, New York City and Long Island. "I'm pleased with the progress we're making in the energy sector but we can't cut greenhouse gasses and reach our emissions reduction goals without also making inroads in the transportation sector, " said Richard Kauffman, Chairman of Energy and Finance for New York. "State-wide campaigns to promote the use of electric vehicles will go far to help New York reach its emissions reductions goals and combat climate change." 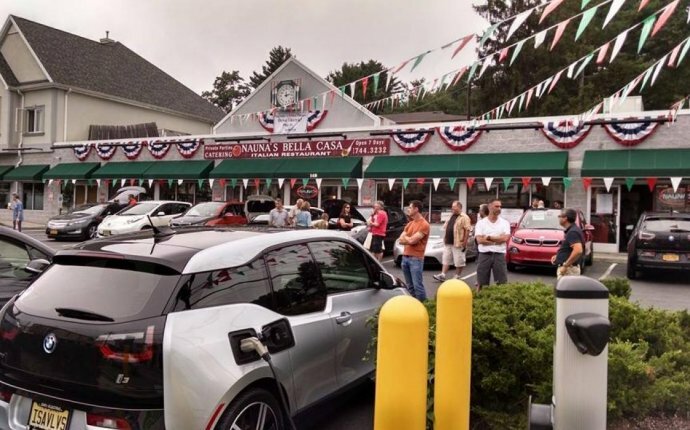 And developing tourism routes specifically for electric vehicle owners that will highlight charging station locations in the Mid-Hudson Valley, including in the Catskills. In addition, Rochester will launch a pilot to become an electric vehicle model city. The goal is to demonstrate how developing an electric vehicle ecosystem can increase electric vehicle adoption and prepare a community for long-term electric vehicle growth. State, city and community leaders worked together to identify actions to support Rochester’s evolution into an electric vehicle model city, including adding electric vehicles to the city fleet, installing charging stations, creating a speaker’s bureau for community events and training for local dealerships. The projects will be managed by three contractors – EV Connect, Energetics and Calstart - for a total of $4.8 million. Each contractor is responsible for different elements at specific locations, though all will be installing charging stations and administering marketing and outreach programs. This electric vehicle campaign continues Governor Cuomo’s ongoing support to grow the number of electric vehicles in New York. Last fall, he announced $3 million for rebates through the Environmental Protection Fund for municipalities to purchase or lease zero-emission vehicles, such as battery electric and hydrogen vehicles, for their fleets. Over the summer, Sustainable Hudson Valley kicked off its Drive Electric Hudson Valley campaign to educate consumers about electric vehicles, which was supported by NYSERDA. The state has also revised regulations to clarify charging station ownership rules, and supported research and demonstration projects on new plug-in electric car technologies and policies. In addition, the New York Power Authority has invited municipalities to tap into a master contract that offers better pricing for the supply, installation and maintenance of charging stations. Governor Cuomo’s Charge NY initiative will accelerate the growth of the electric vehicle market in New York State through education, research, consumer outreach, and financial support for the installation of charging stations across New York. More than 1, 600 electric vehicle charging stations have already been installed toward Charge NY’s goal of 3, 000 charging stations by 2018. The New York State Energy Research and Development Authority, New York Power Authority and New York State Department of Environmental Conservation collaborate on this initiative as part of the State’s goal to reduce greenhouse gas emissions by 40 percent by 2030.